The drive to increase direct bookings has moved into high gear for many hoteliers, with the large global chains and hospitality industry giants leading the charge. Hotels are looking for ways to wean travelers away from booking with OTAs in a bid to fight back against the high fees and restrictive terms that these aggregate travel booking agencies impose. Several of the larger companies, including Marriott International, Hilton Worldwide, Hyatt Hotels Corp., InterContinental Hotels Group and Choice Hotels International have found success with direct booking campaigns, which offer guaranteed low rates to loyalty club members. Armed with marketing budgets that are larger than some boutique hotels’ entire yearly operating budgets, the larger OTAs have been experiencing double-digit growth in hotel bookings each year since 2013. Phocuswright’s 2016 U.S. Online Travel Overview Report shows hotel reservations were 46% of OTA gross bookings in 2015, and online agencies are expected to remain the fastest-growing online channel through 2017. Marriott and Hilton were the first major hotel chains to make a significant bid to reclaim direct bookings. The hotel leaders pulled out all the stops, rolling out social media campaigns and digital ads that featured eye-catching graphics, catchy slogans, and even some classic rock and roll from the Rolling Stones. They used every available marketing channel to bring their loyalty club benefits and low direct booking rates to the public’s attention. 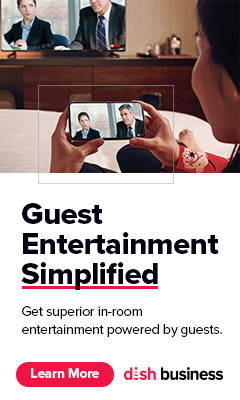 While Marriott is playing it close to the vest on the success of their direct booking rate campaigns, Hilton reported a rave response with enrollments in their HHonors loyalty program increasing nearly 90%. HHonors occupancy rates soared to 55%, a new record in the quarter, and business generated from Hilton’s mobile app is up nearly 150% year-over-year. Independent and boutique hotels have a golden opportunity to capitalize on the publicity efforts of the larger hotel magnates. Thanks to the buzz created by the marketing efforts of the large hotel chains, travelers are now aware that direct booking can offer considerable advantages, and are eagerly searching for lower booking rates and perks that are not available through the OTAs. By making full use of online marketing strategies, smaller hotels can use this interest to improve their rankings, get more traffic and generate more direct bookings. Trademark to protect your hotel brand. If you haven’t trademarked your hotel’s brand name, the OTAs can hijack the top spots in searches for your specific hotel name. That means that even when travelers try to reach your website to book directly, they may be fooled into booking through an OTA by mistake. Once you trademark your hotel name, claim all your online assets, including review sites, to keep third parties from diluting the effectiveness of your online hotel marketing strategies. Branding SEO strategies. It’s a good idea to perform an SEO audit to outfit your hotel website with the latest, most relevant keywords. OTAs have the resources to bid generalized location-based keywords out of most independent hotels’ price range, so if your hotel has developed a reputation for excellence, you may want to turn to branded keywords using your name. Adopting this PPC strategy can help raise your hotel to the top of the paid listings for a significantly lower cost. To generate more bookings, you need to steer as many travelers as possible to your website. Try using a variety of online hotel marketing strategies to achieve the widest possible marketing reach. Promote through online marketing strategies. Digital advertising is the ideal low-cost way to publicize the benefits of booking directly with your hotel. Use the full array of online marketing strategies to engage travelers – create visually appealing social media postings and ads, write blogs explaining the benefits of direct bookings and enact mobile PPC strategies. Upgrade to a responsive, mobile-friendly website. Phocuswright reports that mobile bookings were up 49% in 2015, with US$25.5 billion in bookings made via smartphones and tablets. The study found that OTAs are currently responsible for 28% of mobile bookings and predicts that percentage will increase to 44% in 2017. Switching to a responsive hotel website with a robust booking engine is essential if you want to attract mobile, on-the-go travelers. Loyalty rewards. Offer your lowest rates to loyalty club members who book directly through your site. You can also sweeten the deal further with rewards such as free Wi-Fi, early check-in/late check-out times, and other perks. Don’t forget about your existing business partners – you can keep your positive working relationships with more traditional travel agencies by allowing them to book their clients at your loyalty club member rates. Mobile booking app. Offer travelers a branded hotel app that delivers a robust mobile booking engine. Incorporate handy features including a virtual concierge service, direct-booking only perks such as room selection, amenity ordering, room service ordering and more.